I recently attended a workshop on the Stanford d.school's design innovation methodology given by Jeremy Utley, and he shared an excellent story about defining the right problem before designing the solution. Paraphrasing and simplifying: a project brief called for less-expensive infant incubators (about $2k) for use in Nepalese hospitals, where normal incubators (about $20k) were too costly to purchase and maintain. It sounded like a straightforward, well-defined project - until the team went to Nepal and noticed that there were no babies in the hospital. They learned that most babies were actually born in rural areas because parents couldn't make the long trip to a faraway hospital - and so the problem was redefined. Instead of "a low-cost incubator for hospitals," the real need was to "keep infants warm in rural areas" - in a way that's easy, portable, and works without electricity. 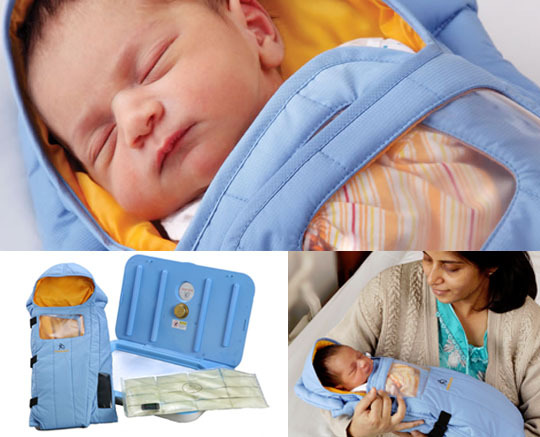 The result of the effort became the Embrace Infant Warmer, a $25 sleeping-bag-like pouch that uses a phase-change material ("rechargeable" in boiling water) to keep a constant temperature. It's a fantastic example of how assumptions should always be questioned as a first step in design - it can mean the difference between merely giving the client what they ask for, versus truly giving users what they need! I do a lot of reading on my digital devices: I read Kindle books on my phone and my tablet (until I left the dang thing on a plane), and read plenty of newspaper, magazine, and blog articles on mobile and laptop screens. Strangely, only one of these sources seems stuck in the past: eBooks, which insist on dividing the text into pages. Pages have no meaning on digital devices - just look at all the content that's happy to scroll vertically - but eBook software seems to insist that users want the "page" metaphor to live on. Gizmodo recently asked why, and Wired (where this image comes from!) did the same a year ago. Long story short: it's a crowd-pleaser, more a showpiece to entice buyers than a feature that helps users. 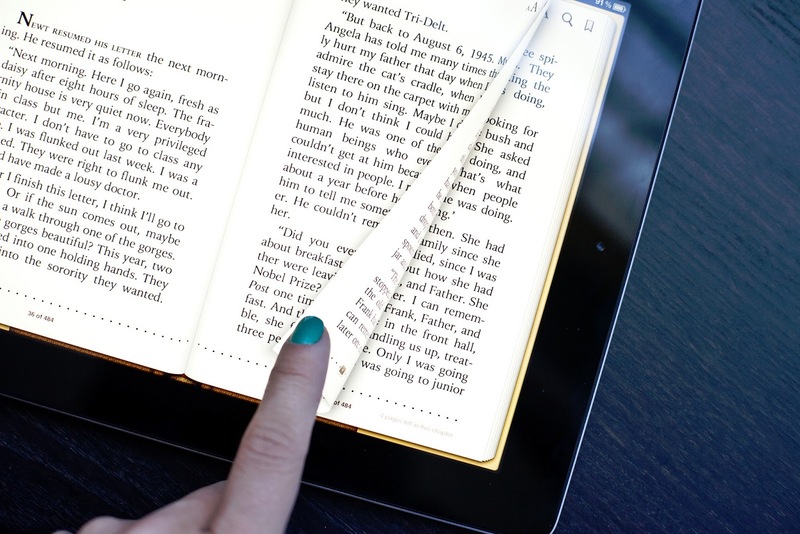 At least for now - it could be argued that by comforting reluctant users with familiar paradigms, eBook apps are positioning themselves to usher those users gradually into the future. If so, I'm eagerly awaiting that future, where the versatility of digital content can be leveraged instead of dumbed down - and in the meantime, having the option to de-paginate wouldn't hurt! Products these days are tending away from being stand-alone entities, and are instead gateways connected to ecosystems of other products and services. An iPhone isn't an island; the App Store, iTunes, iCloud, and all of Apple's services are critical parts of what it is. This is a shrewd play for companies with good ecosystem offerings like Apple, Android, and Amazon - but for those without solid accompanying ecosystems, it means that even very strong product design isn't enough. 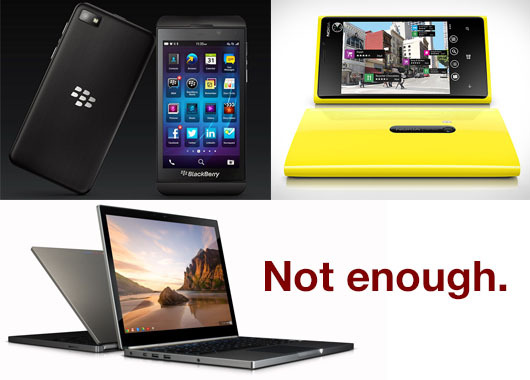 Gizmodo pointed out a few well-designed products that are suffering this fate in a post titled Hardware Comes Last: the Blackberry Z10, Nokia Lumia 920, and Chromebook Pixel. In each case, the individual product is excellent - but the ecosystems are so lacking that the whole product falls short. Perhaps the best hope is that some design elements will be stolen from these orphaned products and find their way into major ecosystems!